The Indestructible (RDA atomizer) is another breakthrough design from Jay-Bo due to its one-of-a-kind features and the creative airflow washer. 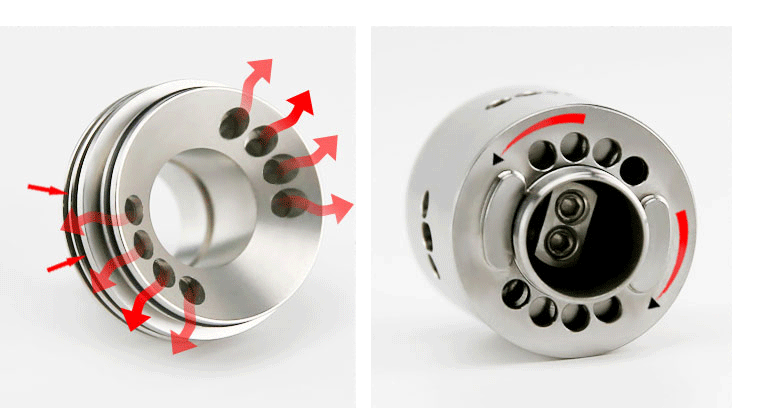 One can enjoy different vaping experiences through the precise top airflow control. The atomizer deck is one of the easiest to build on due to its wide open slot wire terminals and oversized juice well. 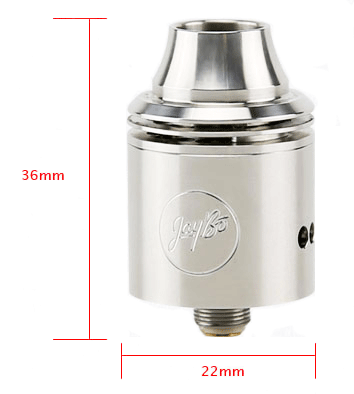 Made of 303 stainless steel, the whole atomizer is durable. Accurate airflow control is guaranteed due to the design of Indestructible airflow washer. Rotate it to enjoy different vaping experience. Unique build deck provides total freedom, as each terminal is slotted to accommodate a vast array of coil preferences. 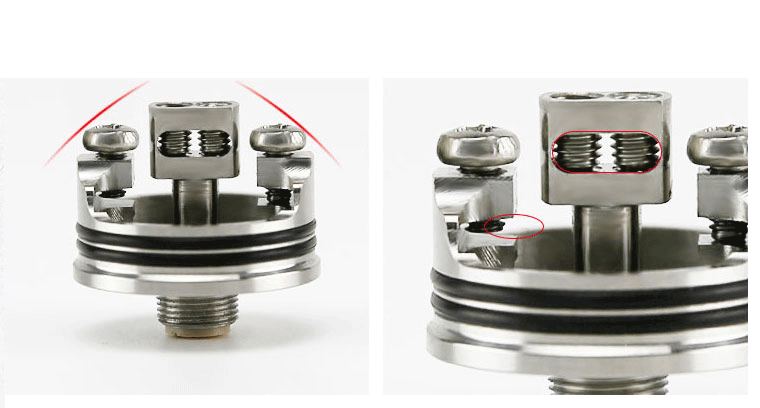 The large cyclops style center post is ideal for Clapton Builds and perfectly centered micro coils. 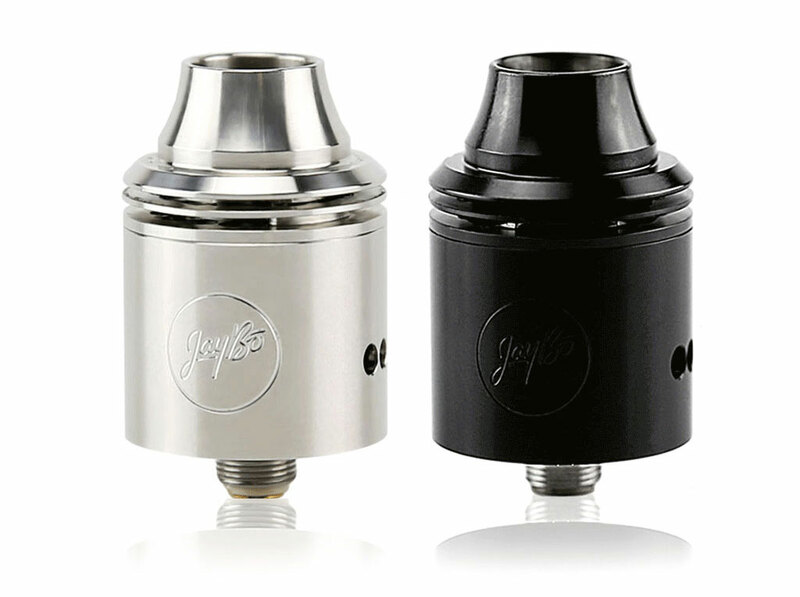 The two artfully made juice wells store liquid and extra cotton so as to keep the coils saturated for longer periods of time.